Having grown up in the Pacific Northwest United States until the age of 22, the temperate coastal rainforests of British Columbia are deeply familiar to me. Towering fir trees sway in the the breeze, their canopy shading the spongy, humus-rich earth below. Crumbling deadfalls provide anchor for opportunistic hemlocks, moss hangs like dewy beards from their branches, and ferns blanket the forest floor beneath. Crows chatter from the treetops, audible but usually invisible, and frogs chirp from the many sodden ponds and streams. The interminably grey skies release an impressively continuous supply of precipitation, which somehow the earth absorbs. But the smell stirs me most: the combined rich, earthy scents of decomposing organic material, cedar bark, cold rain, fir needles, and fungus. Something about that smell fills me with some sort of concurrent joy and heartbreaking loss that I can’t even identify, and yet gives rise to a lump in my throat even as I smile. It’s confusing. 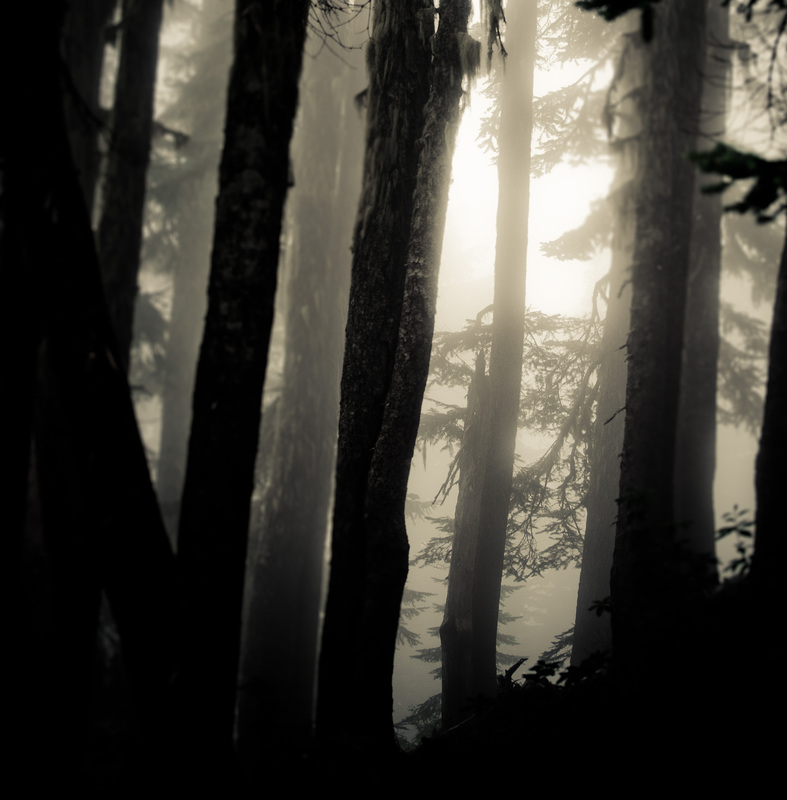 The damp woods of Pacific Spirit Regional Park in Vancouver, BC. One might think that this bittersweet stirring is the distant draw of home—a place to which I have an abiding and meaningful connection. And yet, I cannot help but feel the exact opposite. I do not feel at home here, just as I never felt at home during our three years living in Colorado. Instead I feel a vague sense of unease; I am strangely unsettled, antsy, disconnected, yearning somehow. A microadventure to City of Rocks State Park outside Deming, NM a few years back. I love it when friends or family come to visit us in New Mexico. I look forward to these visits not only because I enjoy spending time with those I don’t often get to see, but also because playing tour guide reminds me how beautiful and wondrous New Mexico—and indeed much of America—can be. I have always had a restless spirit. When I am grounded, I dream of taking flight. When I am flying, I look for solid ground. It’s not that I am dissatisfied with where I am at. Not at all. It’s just that there is some ineffable force pushing me constantly onward, almost as if I am a fish and if I stop moving I will no longer be able to breathe. The specter of stagnation forever gnashing at my heels, spurring me to seek new surrounds. Like I said: restless spirit. All of this restlessness leaves me also with a perpetual sense of homelessness. I live in a dichotomous limbo between craving a sense of home and being compelled to continually refresh my surroundings. In short, I never feel truly rooted anywhere when I am always preparing to leave. And indeed it seems I am always either coming or going, returning or departing. I often come back to a place which harbors fond memories, strong memories (like Maine or Oregon), and my experience is an unsettling mixture of nostalgia and renewal. Like meeting up with an old friend who is now a stranger. My summer travels brought this fact into sharp relief: none of us can ever go home. Not really. Click to receive the next chapter via email. It will save you the hassle of having to check for new adventures!